The Electric Pressure Cooker Cookbook For Two is Here! Perfect for anyone who needs recipes in smaller quantities, this electric pressure cooker cookbook serves family favorite meals without wasting food or leaving your fridge full of leftovers. With over 100 quick and easy recipes, plus an overview on how to get the most out of your electric pressure cooker, The Electric Pressure Cooker Cookbook For Two keeps taste buds happy and Tupperware empty and takes the guesswork out of cutting recipes in half, helping you create full meals for both of you! This is completely unreal. Last year at this time, I had NO idea I’d be holding a book with my name on the cover and my recipes inside! Yet, here we are – and I’m so excited for you to see it! Thank you so much for supporting me through all of this! If you’re an Instant Pot lover, this book is absolutely for you! No matter which electric pressure cooker you own, though, you’re going to love what this book has in store for you! 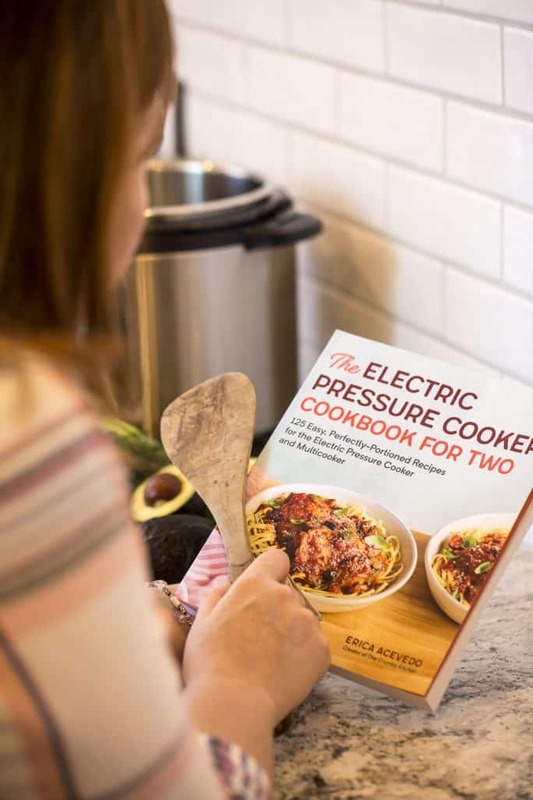 From on-the-go breakfasts to last minute dinners to desserts that cook while supper is being enjoyed; The Electric Pressure Cooker Cookbook For Two has 120+ recipes and you’re bound to find a few faves! Will it be the Tonkotsu Ramen? 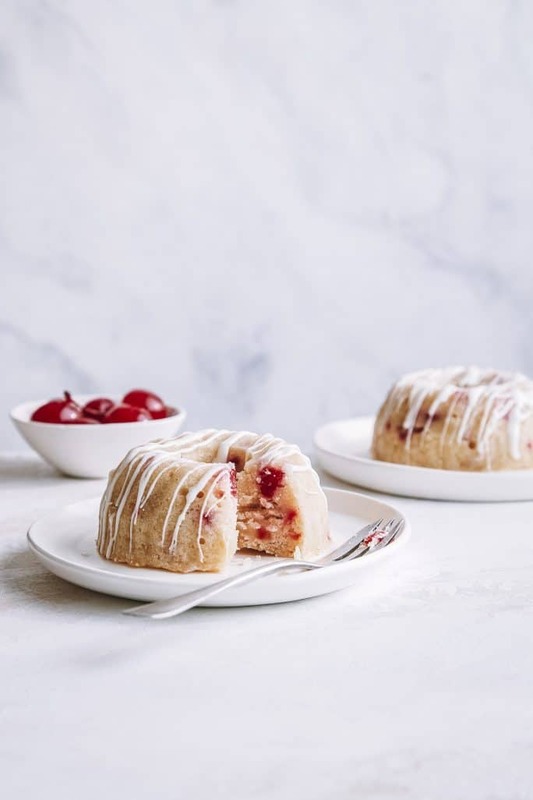 Maybe the White Chocolate Cherry Bundt Cakes? Or how about the deliciously sweet & savory Stuffed Acorn Squash? I want to see what you’re making!! Be sure to tag everything you’re making on Instagram with #TCKEPCFORTWO! And make sure to tag me @crumbykitchen and use the hashtag #crumbykitchen so I don’t miss anything! I can only see your account if it’s public, but I’d love to share your recipe creations! WANT TO WIN A SIGNED COPY?? All you have to do is leave a comment on this post telling me what you’re most excited to make from the book! Bonus points if you subscribe to our newsletter – but no obligations! Good luck, friends, and thank you so much for all your support! Enjoy the book!! Creamy cilantro chicken tacos sounds and looks so good! There are so many to choose from. I really want to get one of these. The recipes you have are alway great! WISH I HAD THESES BOOKS AND POT ,RETIRED AND NEED TO FIX QUICK AND WHOLE MEALS !!!!! I want to try the butternut squash and broccoli rabe lasagna. Sounds delicious! I would love to try all of them! My husband and I are retired and live alone so this would be ideal for us! I so want to win this one! 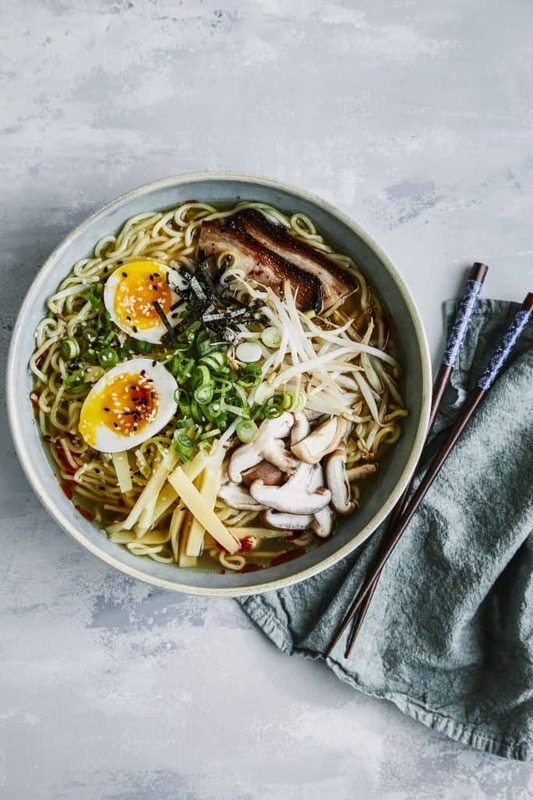 The recipe that I am looking most forward to trying is the Tonkotsu Ramen. I would like to try main dish instant pot recipes. Butternut squash and broccoli rabe lasagna sounds really good! I’m looking forward to some new ‘pot roast’ style recipes. My Dad is a big meat and potatoes fan and I am NOT looking forward to slow-simmering roasts for him during the summer. Deviled Egg Salad Sandwiches sound like something I would love! I want to try Every. Single. One! I have narrowed it down to about 20, or 25. I don’t know what I’m going to make first because that recipe list is incredible I just know it will help me cook for two and that’s perfect! Love my electric pressure cooker! Any of the dessert recipes. I had no idea you could bake in an electric pressure cooker! Ive followed you feed for awhile now, it’s addictive. I would love to own your cookbook. 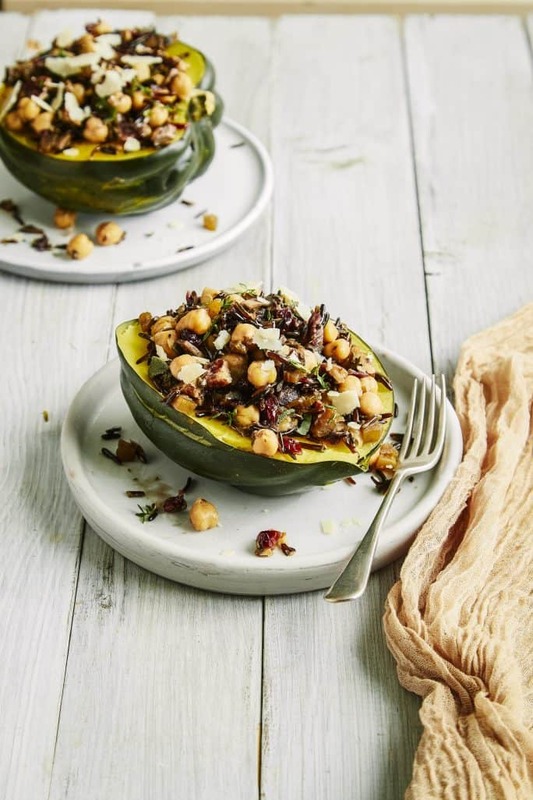 I love squash and the stuffed acorn squash looks delicious!